GSA still expands its focus within Swedish League "Allsvenskan" and "Superettan" with more attention. GSA is negotiating and will very soon have the honor to be the exclusive ambassador of the Swedish Football Federation for one of Asia's Football/Futsal "power house" countries. GSA still working for own Football Academy in one of Asia's most ongoing development country. After a successfull international marketing field, GSA expands its focus even within Swedish League "Allsvenskan" and "Superettan" and will give it more attention. Very soon GSA will release the details about own established Futsal Academy in Iran (Tehran), which is one of top-ranked Futsal giant countries in the world. GSA will soon present its own Football Academy in one of Asia's most ongoing development country. 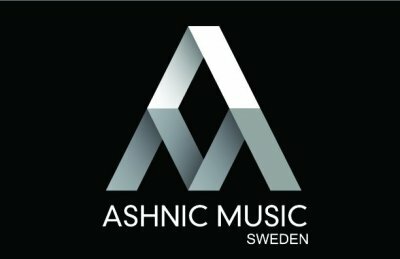 As a following development of the "June 2015- project", GSA is now proud to announce and confirm the esablishment of Ashnic Music Sweden (AMS) with it's Head quarters in Sweden and USA (Los Angeles) and very soon a sub directory in India (Mumbai) as well. Expansion of transfers and collaboration within all football fields internationally. GSA followed up the friendly meeting between Hammarby FC of sweden vs Esteghlal FC of Iran during Mars 2016. June 2015- Besides all usual talents/coaches transfers at international market, GSA is planning for it's third business activity within Events and Music productions at international level. Global Sport Agency proudly announce that we are under construction and establishment of a Futsal Academy, for first time ever in Sweden in tought of such strong skill. Thanks to our resoures who are granted and giants with high skills and experiences, no less than GranPrix and World Cups in big name countries such as Brazil, Italy, Spain, Iran etc. We do welcome all collaboration offers to be reviewed. This section will be updated with more details in very short! Global Sport Agency (GSA) updating the Logotype to more modern image presenting as below. Thanks to a good effort during past years, GSA expands its collaboration with South American and European agencies and clubs/academies. GSA welcomes the expansion collaboration offers from East Asia clubs/academies. GSA welcomes the expansion collaboration offers from South America clubs/academies. GSA start expands within Iranian federation and clubs. GSA in negtiation for academical establishment. GSA in negotation to expand its training camps opportunities worldwide.